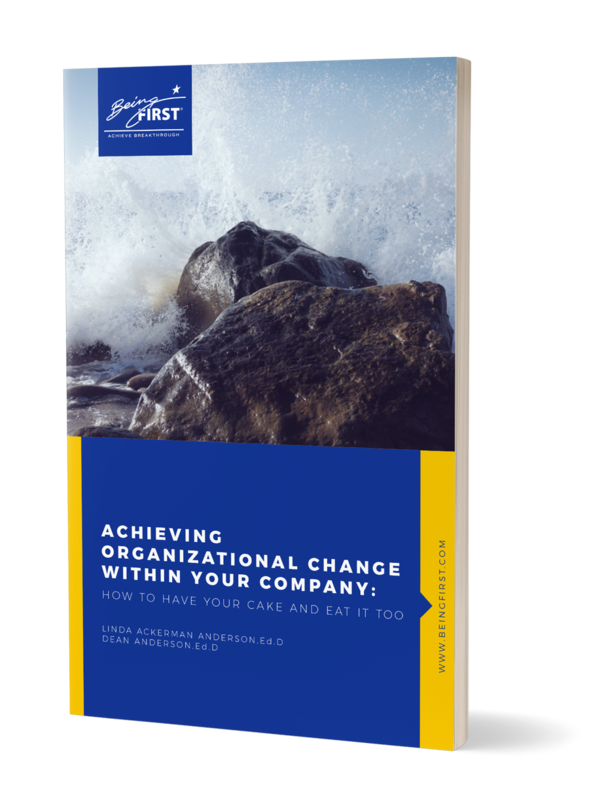 Most change leaders raise their hands in celebration after designing what they think is the optimal change solution – their new strategy, structure, system, business process, or technology. But getting through implementation to achieve full adoption and sustainment of change takes far more than coming up with the correct solution. The key is to design your change process to achieve this outcome… from the beginning! While few change leaders do, you don’t need to make this common mistake. Learn how to "have your cake and eat it too:"
Are you a visionary interested in transformation? © 2015 Copyright. Being First. All rights reserved.